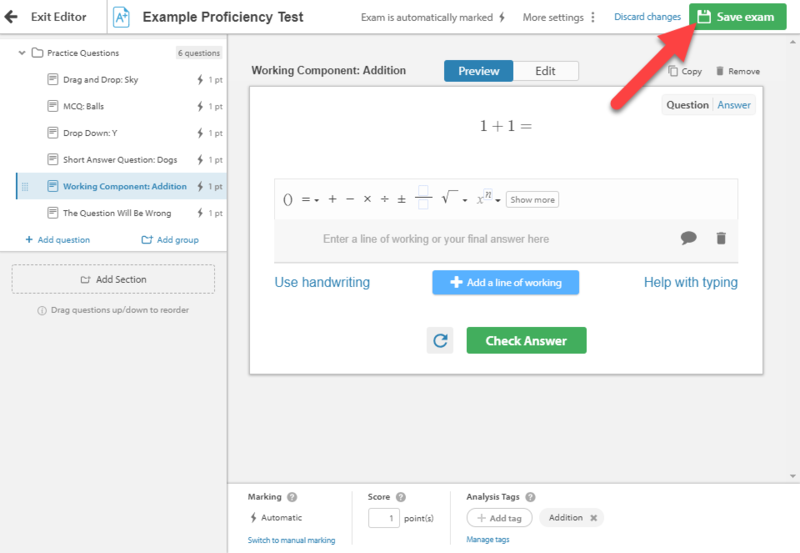 Analysis tags allow for remedial content to be suggested to students after their assessment is completed. This recommended material will focus on the learning areas that the student struggled with during the assessment. Assessments made by the Education Perfect team (like diagnostic tests) generally have analysis tags and recommended remedial content already built in. 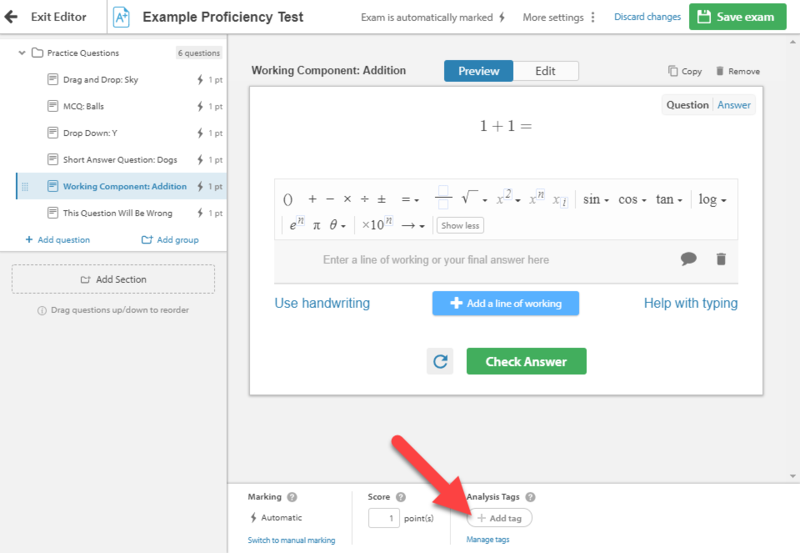 You can add your own tags and recommended content when building a custom assessment for your students. 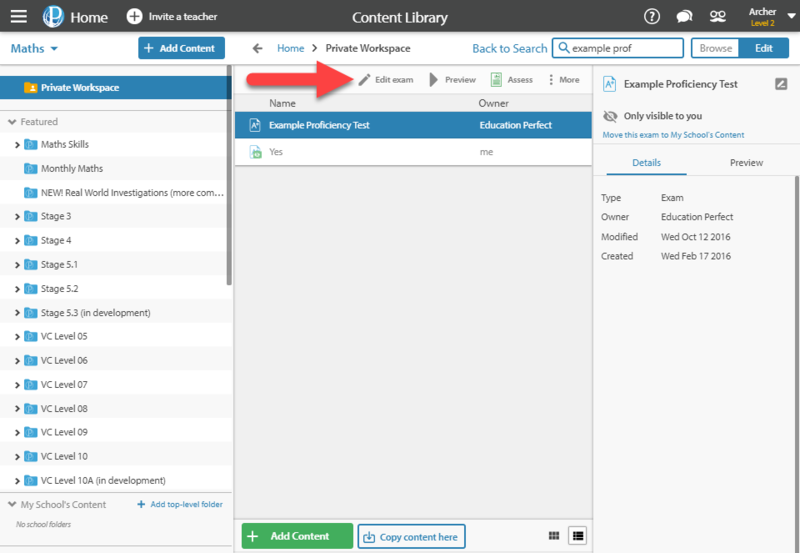 Make sure you have Edit mode selected and navigate to the assessment you wish to add analysis tags to. Next, click the Edit exam button at the top. 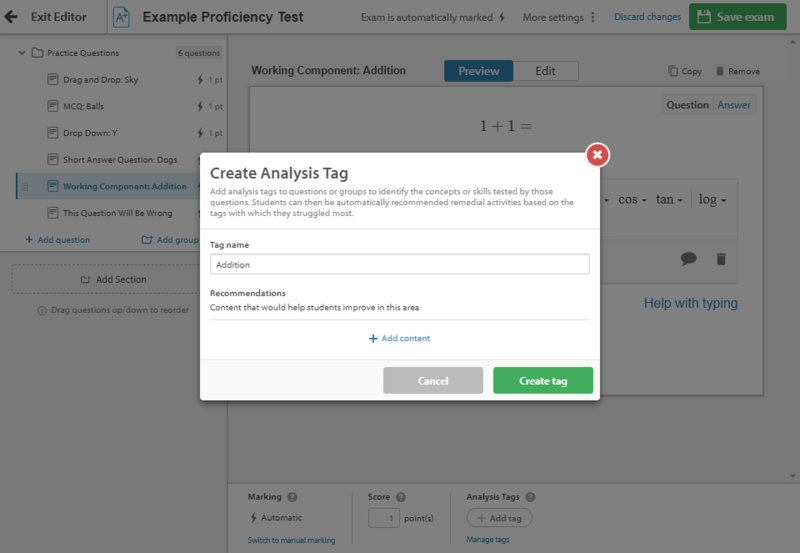 Analysis tags can only be added to exam type content. To check the type of content, select the material and look on the right-hand side of the screen for the Type section. There are three different content types — List, Smart Lesson, and Exam. To create new analysis groups, select Add tag. Analysis groups break up the different skill areas covered in an assessment. You are able to set different recommended material for each different analysis group, allowing you to provide recommendations based on the specific skills each part of the assessment focuses on. Name the analysis group and then click Add content. You will only be able to select recommended material within the same subject as your assessment. If the material is elsewhere, you'll need to move it to the correct subject. If you know exactly which remedial work you wish to select, find it and make sure it's checked. 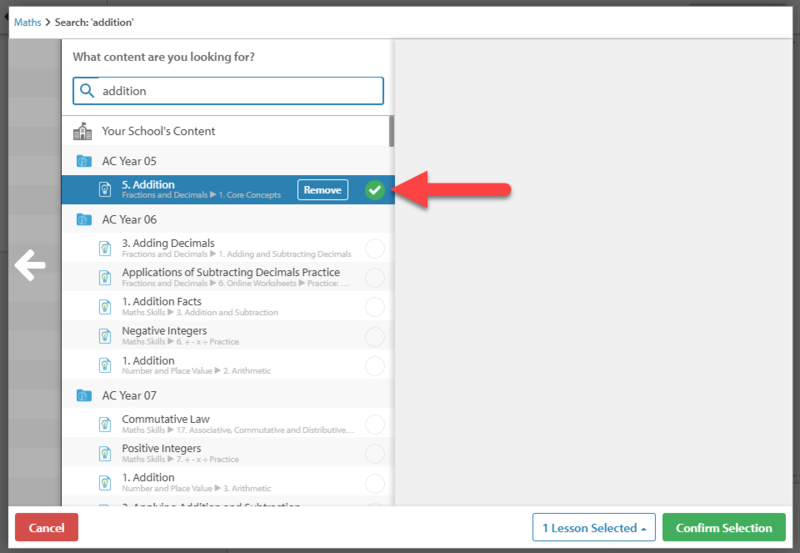 If you're unsure of exactly which lesson(s) you would like to be recommended, you can search for a specific topic using the box at the top of the page. Once you've selected the content which you wish to assign, confirm your selection. Now that the recommendations are selected, you are able to set a Recommendation Threshold. You'll need to click on the tag and enter a percentage threshold. This number determines at which performance thresholds the recommendations are made. The default is 0-70%, which means that if a student scores below 70% on any sections of the assessment this analysis group applies to, the recommendation will be made. Another way to use this function is as an extension activity. For example, you could create Extra for Experts content which is assigned to students who scored very highly in a skill. Once the Analysis tags are set up to your liking, make sure to select Save exam.